These were my favorite things to order at a restaurant called Melanie Pringles in the town I grew up in (I think it’s still there). When we moved, I found them at M&M Meats, but then they stopped making them. I had no choice but to figure out the recipe on my own. Lucky me it was ridiculously easy, and they freeze well. Woot! 1. Pre-heat your deep fryer to high, or get a couple of inches of oil in a deep pot (If using a pot, prep the rolls first, then heat your oil and cook, never leave hot oil with your back turned). 2. 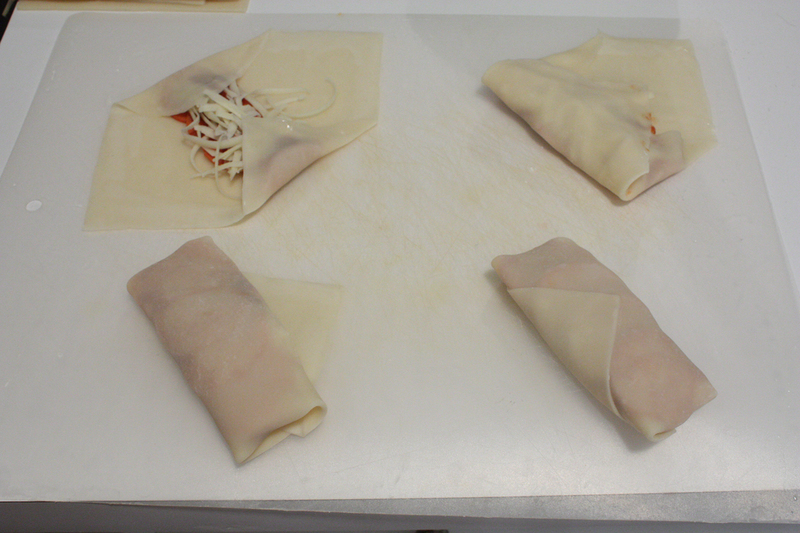 Lay out 4 won-ton wrappers at a time. Ust a basting brush to brush the water/cornstarch mixture around all four edges, about ½” wide (this helps the edges stick). 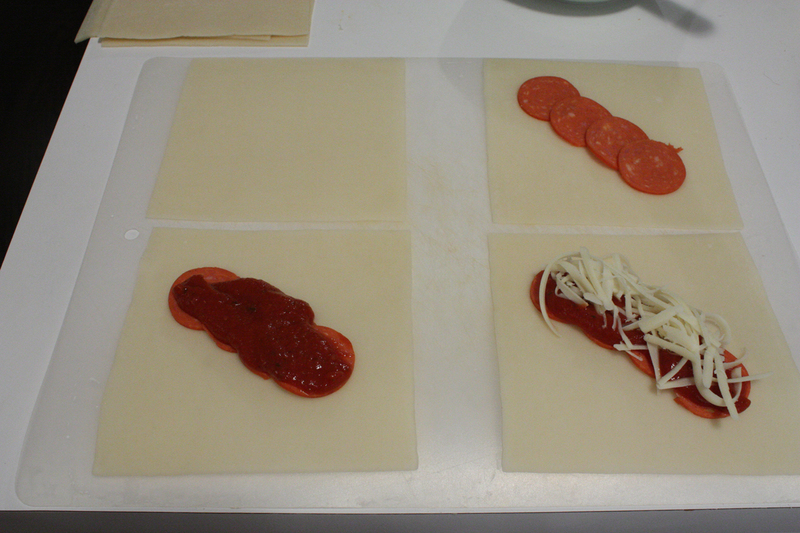 Place pepperoni, about 1½ tbsp sauce and 2 tbsp motzerella onto the center of each won-ton. Note: You can cook right away, or just cover them with plastic wrap and keep in the fridge until you’re ready to cook. I usually prep them the morning that I’m going to cook them, so that it’s nice and quick later on. You can keep them in the fridge for up to a day, any longer and I would cook/freeze. 4. 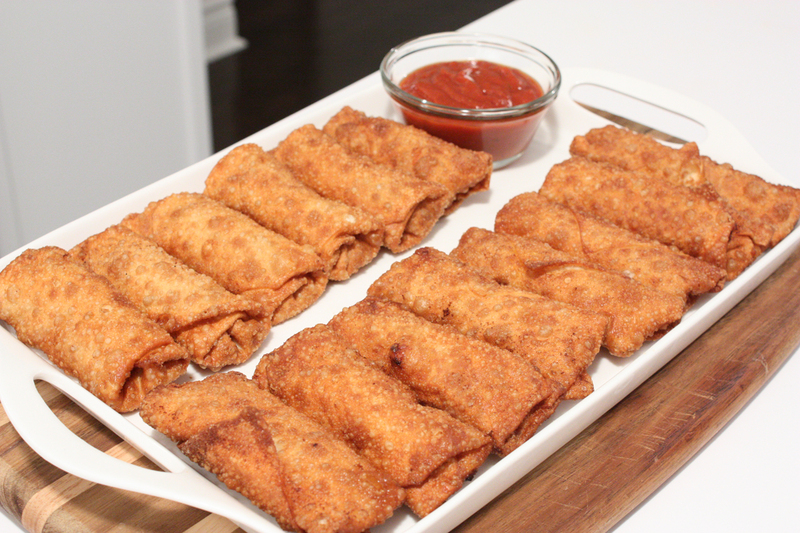 Fry the rolls in three batches of 6 (in a deep fryer) until golden brown, 3-5 minutes. 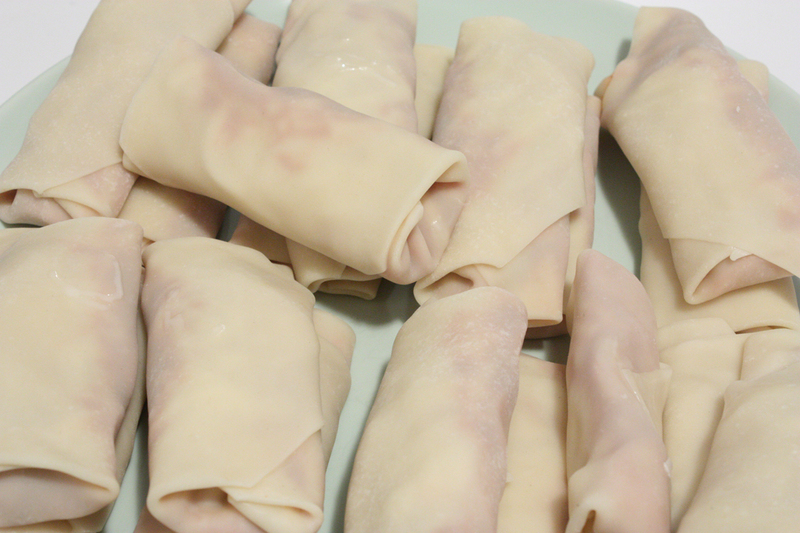 Let cool 5 – 10 minutes before eating, the filling will be VERY hot. 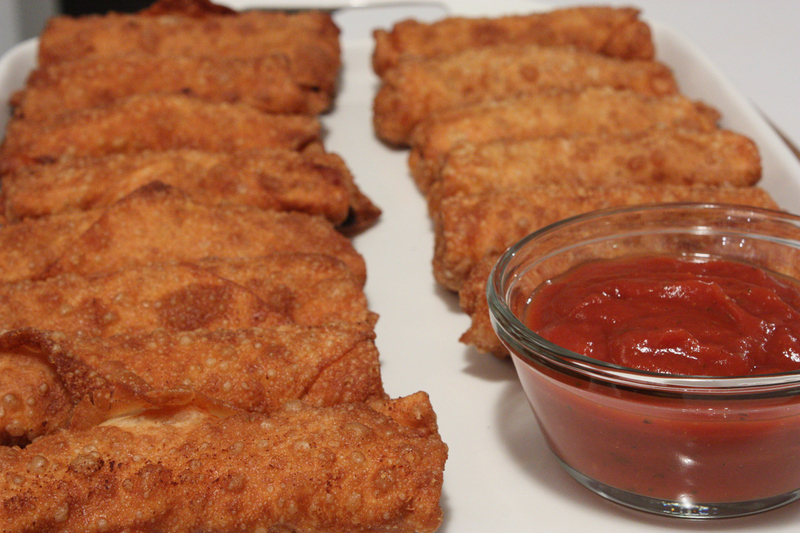 I like to dip them in the leftover pizza sauce, but it’s gotta be warmed. Previous Post: « It finally happened.